Famous and beautiful Cities have always been a source of inspiration for artists. The facades of unique places such as Venice or the skylines of the great metropolitans in the world are a testament to the great achievements of the human race. The story of human civilisation has been the story of its cities. The Red Rag selection of Limited Edition Prints captures the essence and atmosphere of these world renowned locations. This page contains a listing of limited edition prints by leading British artists with a focus towards architectural and street scenes. The art listing is in alphabetical order by City name. 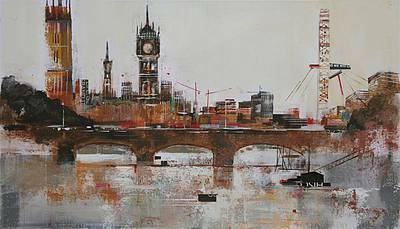 If you are looking for a specific limited edition print of a City scene and are unable to find one from our current range lease contact the gallery. The City of Bath has been described as one of England's most beautiful places. Renowned for it's hot springs, Roman baths and splendid Georgian stone crescents, Bath has been attracting artists for centuries. 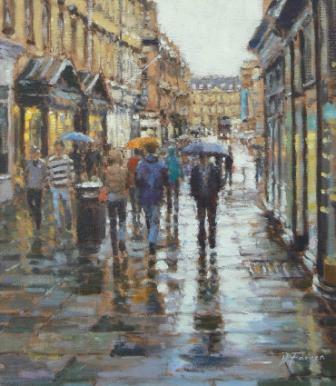 A more recent attraction are the many Art Galleries in Bath which includes the Red Rag Bath Art Gallery. The City of Bath is a world heritage with a long and colourful history with many famous visitors and residents. 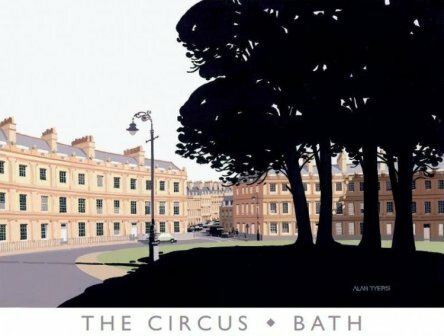 The Red Rag Limited Edition Prints of Bath capture the magic and elegance of one of the world's greatest cities. Samuel Johnson said: 'when a man is tired of London, he is tired of life; for there is in London all that life can afford.' London is certainly a city which has something for everyone man, woman, child, as well as all ethnicities, orientations, and tastes. London has maintained centre stage of the cultural crossroads for two thousand years and stands out from the rest because of its cultural diversity. In terms of architecture there is no one single style that defines the city and the Red Rag Limited Edition Prints reflect the diverse range of iconic images known throughout the world. New York. New York! So good they named it twice. It is a City with iconic landmarks, a tremendous arts culture and much more. 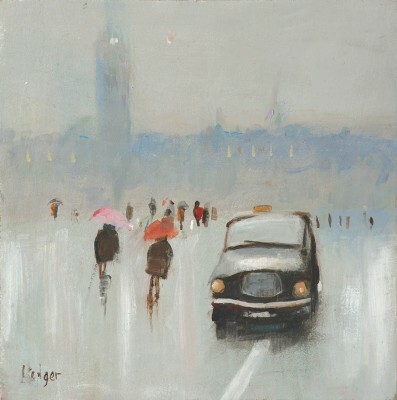 It is little wonder so many British and International artists from across the world are drawn to the City creating wonderful paintings and limited edition prints. The Red Rag Limited Edition Prints communicate the vibrancy and striking nature of the "Big Apple". From the yellow cabs of David Farren's art prints to the geometric art deco tribute of the 'Chrysler Building' by Michael Kidd the magic of the City is evident and explains why it is the city is the favourite of so many people. Paris has all but exhausted the superlatives that can reasonably be applied to any city. Arguably it also has more familiar landmarks than any other city in the world. It has a grandness and magical quality and has been a magnet for British and continental artists for centuries. Masters of the past including Monet, Van Gogh and Toulouse-Lautrec all painted in Paris. Today artists are still strongly attracted to the City. The Red Rag Limited Edition Prints capture the romance and interest of the French capital City. Venice or the "City of Bridges", as it is sometimes called, is a magnetic point for sweethearts, lovers, artists and poets. Venice is a magic city which stretches across numerous small islands. The vistas across the city provide inspiration for artists whatever the time of year. Venice has been a major force in the art world for centuries. The "schools" supported artists to create their masterpieces and many early Venetian artists took inspiration from Renaissance artists Raffaello and Michelangelo. 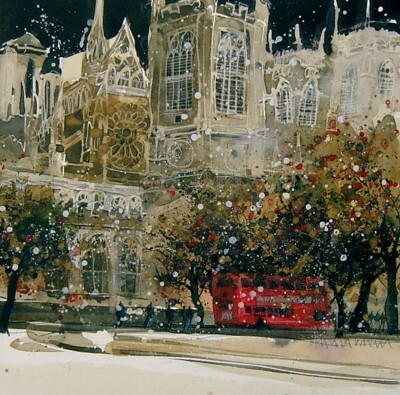 The city continues to draw artists from throughout the world and a great many of today's visiting artists are British.